I feel somewhat like I’ve been hiding something from my blog friends but this has been a hard post to write. I’ve actually started and erased several times but now that we know where we’re headed, this will become my place to not only track and record the rest of my pregnancy but the journey of our sweet baby Huck. This post is long but getting to this point has been sort of long in real life already, and we have even longer roads ahead of us. January 20th is a day we won’t ever forget. That’s the day they told us our baby only has half a heart, unofficially diagnosing him with Hypoplastic Left Heart Syndrome (HLHS). 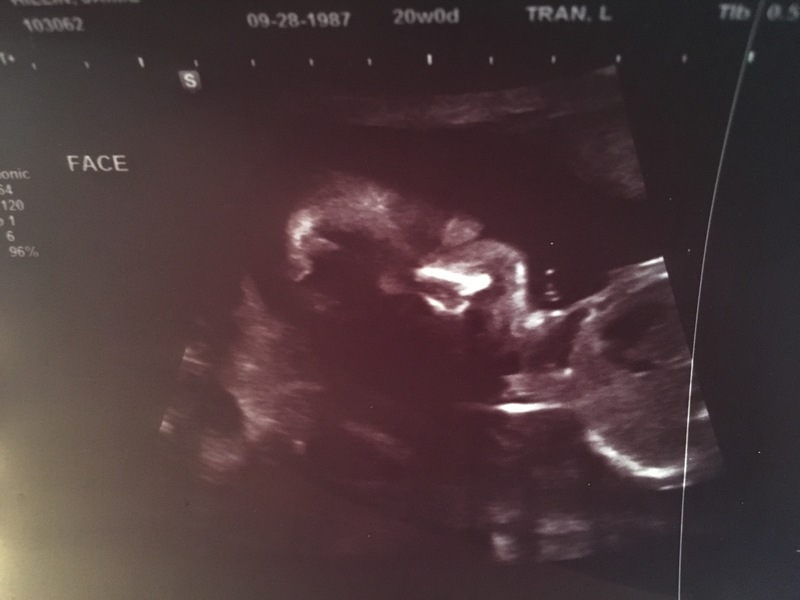 We knew after our anatomy scan a couple of weeks ago at 20 weeks that something was off but our OB’s office reassured us that it was probably just a positioning issue or that he was too active, and they scheduled us to come back to check again at 22 weeks. I researched fetal hearts to what I thought was an insane amount so when we went back I knew what his heart should look like. When the scan started, and she checked his heart, I knew it wasn’t all there. Without recounting several conversations with different office staff word for word, I’ll say that my doctors office treated me very poorly that day, doing a follow up scan without plans in place for there being a problem. They apparently intended to do the scan and send me home to wait for a phone call, whenever that would be, but after I demanded some kind of answer and they sent me out to the waiting room basically in hysterics, they somehow tracked down my doctor and had him review the scans and he simply sent his RN to talk to me. My family and I are all so appalled at their lack of compassion when they clearly knew there was a critical issue. It makes my blood boil to even type this much of it. The RN ended up telling us they were referring us to a Maternal Fetal Medicine doctor for a level 2 ultrasound and fetal echo. We weren’t sure how soon this would happen but she said she marked the paperwork “urgent”. The next day we got the phone call that we’d be seen in two days at UTMB in Galveston, Texas. I had been praying it would be fast, but was pleasantly surprised at just how fast. On January 20, we left bright and early and drove 2 and a half hours to Galveston to our appointment. Everyone there was so insanely nice and understanding. The tech started the ultrasound and explained every single thing she was taking pictures of. She got in depth measurements of so many body parts and organs, again confirming he’s a boy (fourth check now) and helping Nolan understand exactly what he was seeing on the large screen on the wall. He’s never had anyone take the time to show him and he’s always a little unsure of what he’s seeing, so ultrasounds haven’t been that exciting for him. But this time because of the time she took and the quality of the machine, he saw everything from 5 little toes and 5 little fingers to lips and nose. We even saw Huck playing with his toes and putting his hand in his mouth. We saw him opening and closing his mouth and flipping around like crazy in there. 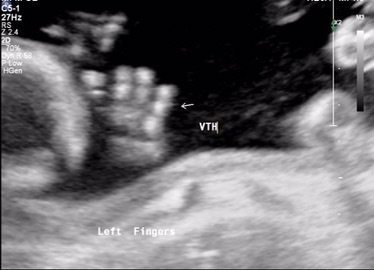 When the tech switched over to the fetal echo and started on his heart, she went silent. We knew then something was truly wrong. She scanned and took pictures for well over 30 minutes then left to get the MFM specialist. He came in and looked at the ultrasound machine with the tech, asking for specific views himself. He asked if we had any family history of congenital heart defects and we said no. He left to get a book of pictures and brought them back to us. He showed us a normal heart and then an HLHS heart and explained that he either did not have a left side or that it was severely underdeveloped. He said he was referring us on to a pediatric cardiologist and they would try to get us in very quickly with him as well. That visit would be in Pearland this time, which is two hours from us. We asked a few questions about how it happens, what his outcome would be and what life would be like for him. He explained the best he could that sometimes it’s genetic and sometimes environmental and sometimes just random chance. He said Huck would need a series of (hopefully) three reconstructive open heart surgeries starting when he’s born and ending when he’s a toddler. He said that 20 years ago this defect was fatal. But they’ve come a long way with this reconstructive surgery series and now babies are living into their 20’s. There isn’t much data past that because it hasn’t been around long enough. He was optimistic that while he probably wouldn’t ever be an athlete, he had chances to live a fairly normal life. From there we notified family and close friends about what we’d found out and waited for the phone call about his next appointment. We got the call on Monday the 23rd that our appointment with the pediatric cardiologist would be Thursday the 26th. I made a list three pages long of questions I had. I knew some of them wouldn’t be able to be answered just yet until we find out about my OB care. So today we saw the pediatric cardiologist and got confirmation that our sweet baby boy has been diagnosed with Hypoplastic Left Heart Syndrome. We were able to ask a lot of the questions we had about his quality of life (which should be fairly normal once he’s past the surgeries) but mostly just confirmed the diagnosis and treatment plan which will indeed be the three part series of reconstructive open heart surgeries, starting when he’s born. We felt really comfortable with the cardiologist and his experience specifically with this defect. He currently has a 27 year old patient surviving with it and doing well. Right now our doctors and his surgical team are making plans for Huck, monitoring both of us, and we will find out more a little later around 30 weeks. The goal of utmost importance right now is keeping me pregnant as long as possible. So we’re praying the preeclampsia stays at bay this time and a full term baby boy. That will give Huck the best shot at his life. I posted today on Instagram and now here, but I put that I debated if and when to start posting about everything but we want to celebrate his life and my pregnancy with him just like we would have otherwise. I will still continue to do my updates every 3 weeks and more updates on his heart as they happen. We still have a lot of unknowns to face and a long road ahead but we appreciate any thoughts and prayers sent our way. 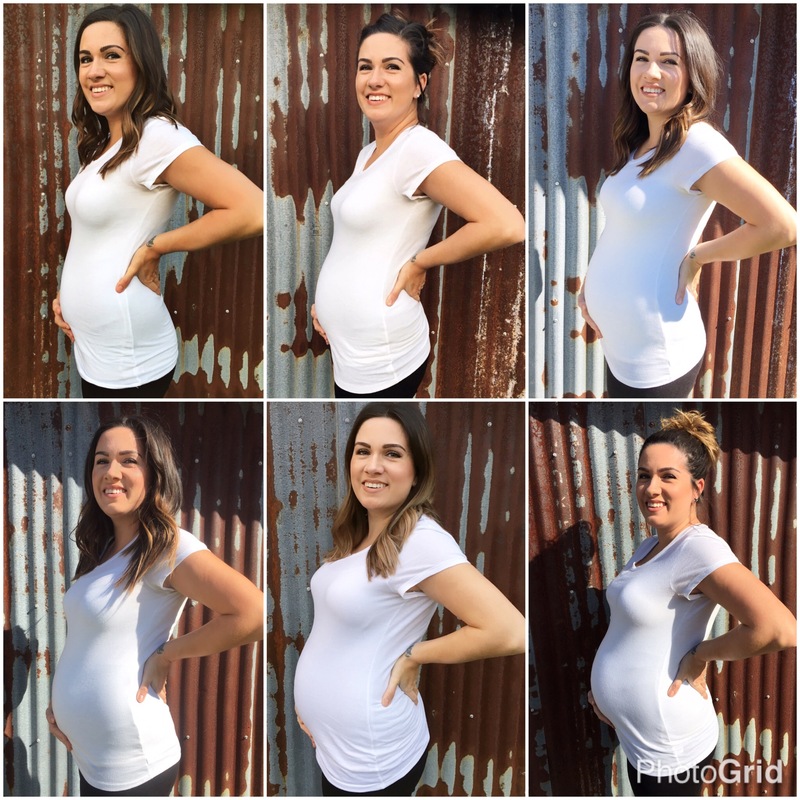 Weight Gain: At my 20 week appointment, I had gained 17 pounds and was measuring 21 weeks. So I’m sure I’m up a pound or two and up a week as well. 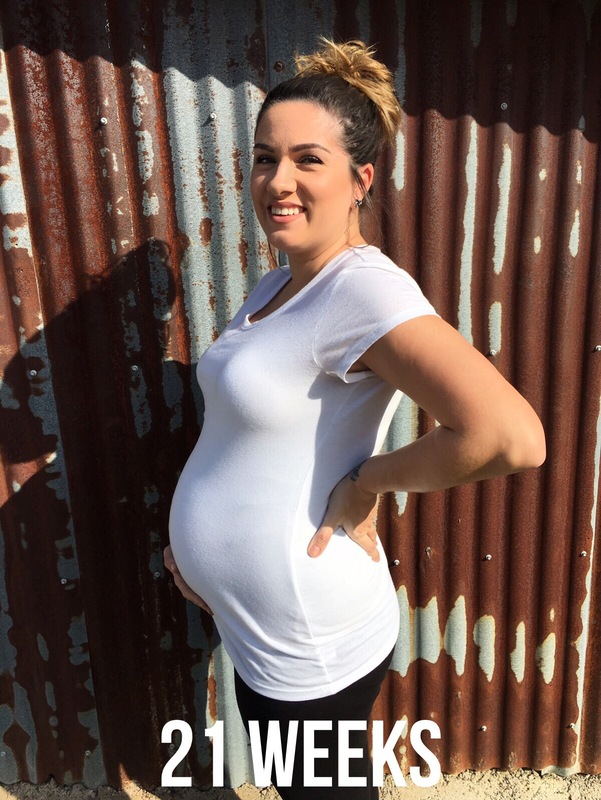 Maternity Clothes: Oh man. This has become a struggle. I so didn’t want to buy anymore maternity clothes but my jeans from pregnancy with Whitlee don’t really fit as well and I’m seriously outgrowing shirts at rapid pace. I’m still trying to pair non maternity and maternity but this belly is large. Belly Button In or Out: In, flatter by the day. Sleep: I sleep really hard, but still getting up to pee a lot and the SPD bothers me when rolling over but I’m making it. Best Moment The Last Few Weeks: Feeling a few kicks from the outside! Miss Anything: Nothing, really. Just trying to enjoy it the best I can. Movement: Getting stronger. I actually felt him from the outside for the first time on New Years Eve, literally just after midnight. I guess he was ringing in the new year! This is your year, baby boy! I’ve since felt him from the outside just a few times. Currently his head is up near my ribs on the left and I still feel fluttery feelings there but his feet are down low to the right and he kicks a lot there. I found out I have an anterior placenta again, they didn’t mention low lying this time, but the placenta could be blocking some of his movements. Cravings/Aversions: I don’t think I’ve had many strong cravings lately. I do seem to like sweets a little more this pregnancy than last, which is way backwards on old wives tales. Oh and tator tots from Sonic have been tasting like dirty sink water to me lately but I’m not sure if that’s a pregnancy thing or a Sonic thing. Symptoms: Well, I’ve been having some increased spd pain, so bad that sometimes it’s so painful to walk for a few steps and then it eases up. And the Braxton Hicks have gotten a little crazy. I had the same exact thing happen with Whitlee at this point last time and thankfully my cervix went unchanged. I ended up getting checked this past week because over the weekend between 20 and 21 weeks, the BH were way too close together, way too frequent. Cervix was good.. hard and closed and measured 4″ at my last ultrasound. I’ve been drinking more water and trying to rest more but it may just be that I have an irritable uterus and I may have to get cervical checks more often to be on the safe side. 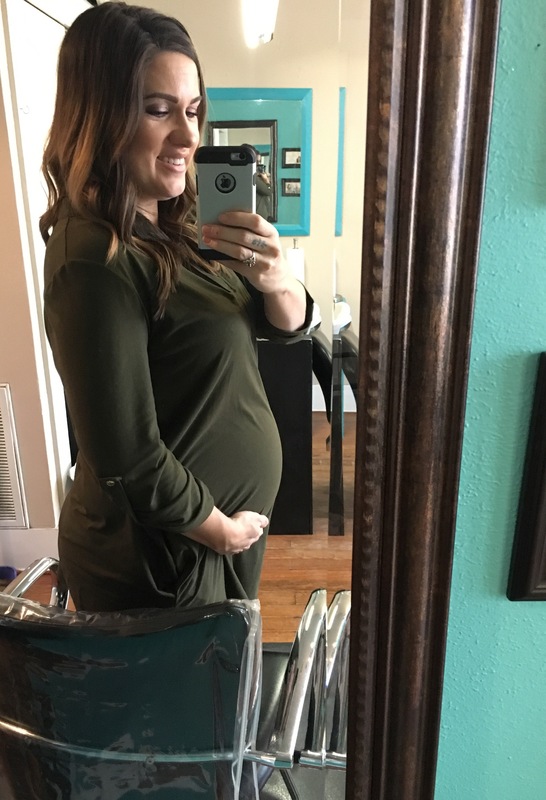 Additional Notes: I try to make sure I record everything because it’s actually been really helpful to be able to read posts from Whitlee’s pregnancy and know what’s normal for me and what’s not. At Huck’s anatomy scan, I mentioned he was extremely wiggly, which is sort of crazy because I just don’t feel him as much as we saw him. He does seem to move more when I lay on my back, like for ultrasounds or when they measure my belly and check heart tones so maybe that’s why he was so active. But they called last Friday and said “nothing to panic about, it’s completely common for this to happen, it’s a super hard shot to get, especially if baby is really active… but they weren’t able to get a good picture of his heart and didn’t see all four chambers.” They want us to come back in two weeks from that, which is this coming Tuesday. We’re praying that he was just too active and that nothing is wrong with our baby boy’s sweet little heart but I can’t help but be a little nervous. Heartbeat was good and strong and he’s measuring a little ahead so they said those were great signs. I’ll try to update after that appointment. Nolan is more logical than I am, but he’s probably right – he thinks that if it were something bad, they would have gotten us straight to the level 2 ultrasound or called us in immediately. Supposedly there’s a lot of growth between 20 and 22 weeks so that may help them see his heart a little better. My appointment is also in the afternoon vs the morning so maybe he’ll be more relaxed and still for them. ﻿Other than that, things are going well. Just hoping we can make it full term this time! I can’t believe we only have about 4 months left! 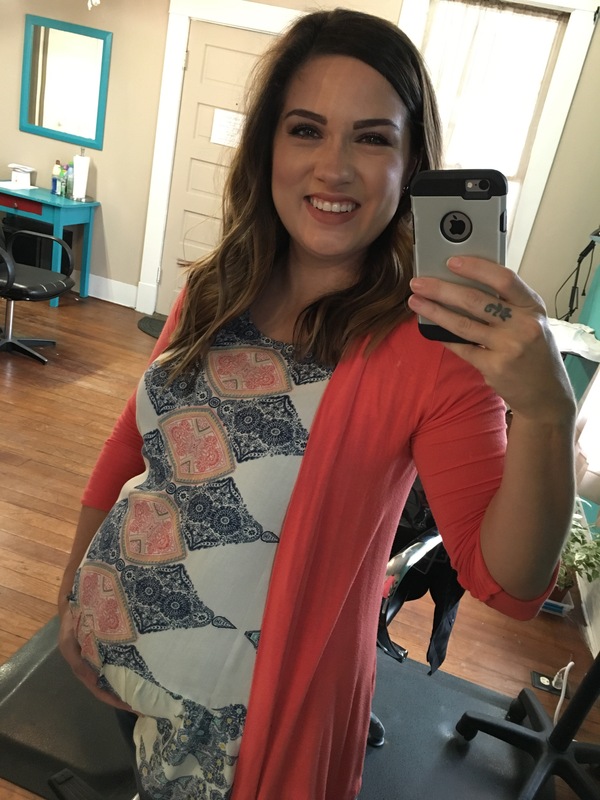 Nolan and I went to my 20 week appointment this morning for the anatomy scan ultrasound and checkup. They checked on all of Huck’s organs and parts, measured everything in depth, and confirmed he is indeed a boy. 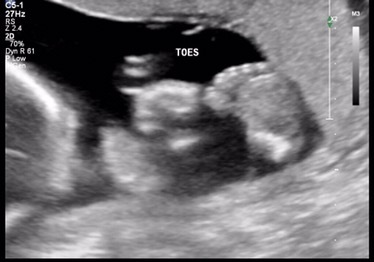 I had this weird fear that “what if our first ultrasound was wrong” but he’s definitely a boy! His heartbeat was 145 and he’s weighing about 13 oz and measuring about 4 days ahead. Nolan’s pawpaw is predicting a 9 pounder. I guess we’ll see! I’d be thrilled with a big baby as long as he’s healthy. 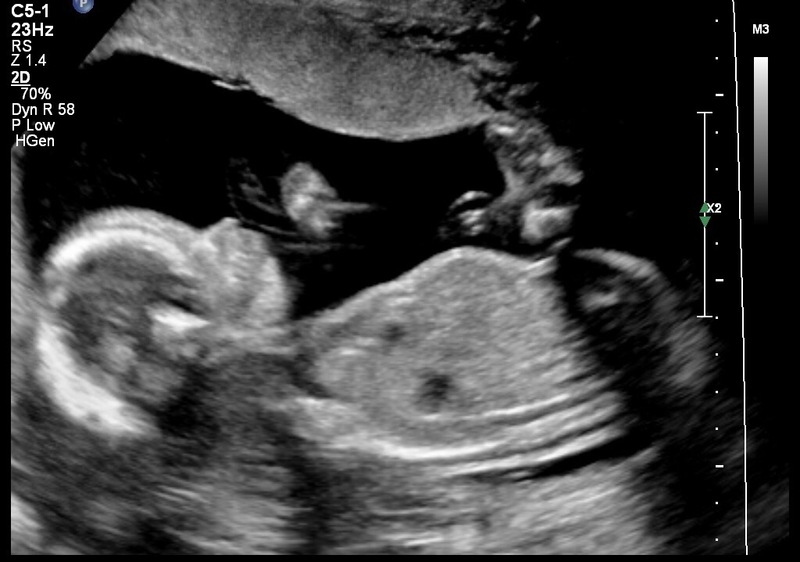 Unfortunately, baby boy had his hands all in his face again and kept turning back and forth facing my back so the ultrasound tech couldn’t get a shot of his profile, just another odd face picture and a picture of his boy parts. I’ll spare you that one. I kind of hate that we had so many good ultrasound pictures of Whitlee at this point but none of Huck yet. We did get to see his profile for a split second but it was fast and he turned again. I’ve gained 17 lbs now and I’m measuring 21 weeks. I was correct about my uterus being above my belly button, which is why its flat already. The charts I looked at before were for an average torso and mine is a little shorter than average but since he’s measuring a little ahead, it’s not too bad that I am too. I’ll take it! And I love being able to use that as my comeback – well actually we’re right on track, thank you very much! Since this was the halfway mark, we talked a bit about the plan for the rest of my pregnancy. My blood pressure has been doing really well on the Aldomet and I’m still on the lowest dose so that’s good. All of our blood work for spinal birth defects came back normal. 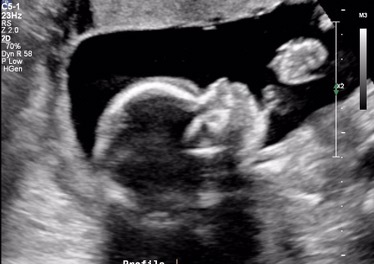 We were told I’d be starting ultrasounds every 4 weeks for the rest of my pregnancy, so 4 or 5 more, at least. I’ll also start non stress tests at 32 weeks and do those twice a week until delivery. Oh and glucose tolerance around 26 weeks. I’m really glad they’re monitoring everything really close and feel like we all agree that healthy and full term is the main goal. So here’s to an uneventful second half!